Dome shaped clock made in quality lead crystal with flat front and bevelled edges, with a classic clock face inset in a circular silver frame. 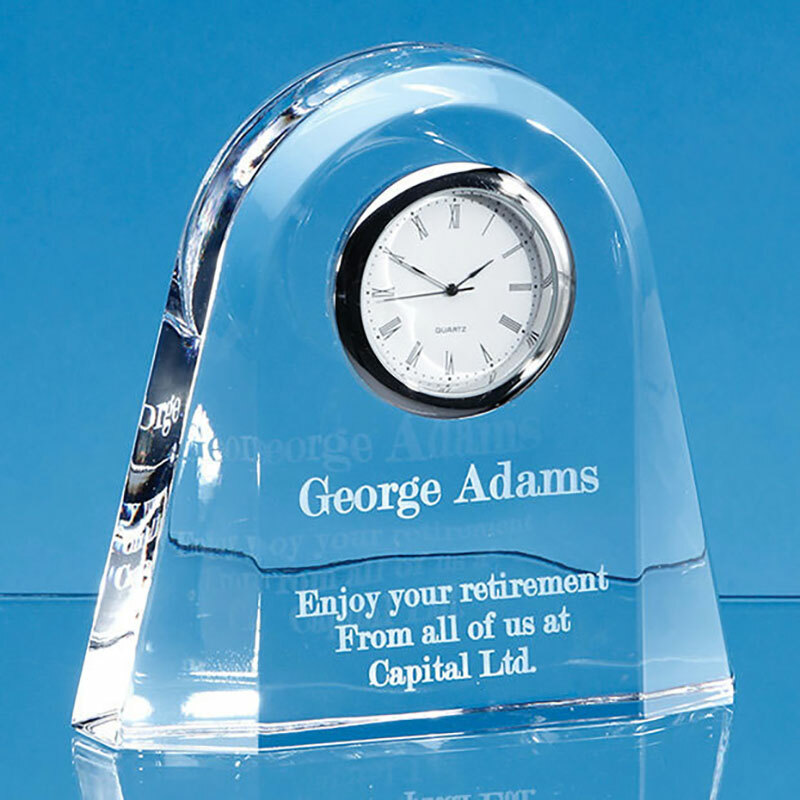 These glass dome clocks measure 120mm x 120mm (3.75in x 3.75in) and are 28mm (1in) deep. 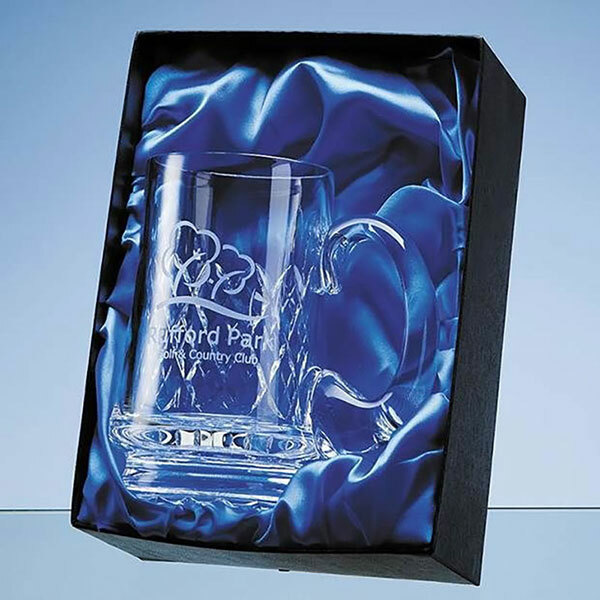 They are ideal engraved as retirement or anniversary gifts, and are offered here with text and/or logo engraving options. An optional deluxe presentation box is also available. Size: 120mm (3.75in) height, 120mm (3.75in) width, 28mm (1in) depth; weight 755g.